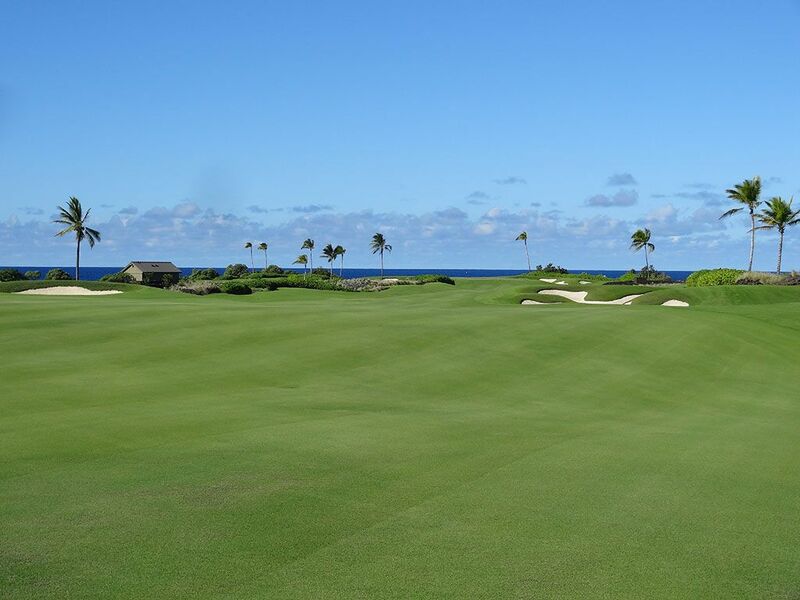 Course Website: Official Website - Visit Kohanaiki Golf and Ocean Club's official website by clicking on the link provided. 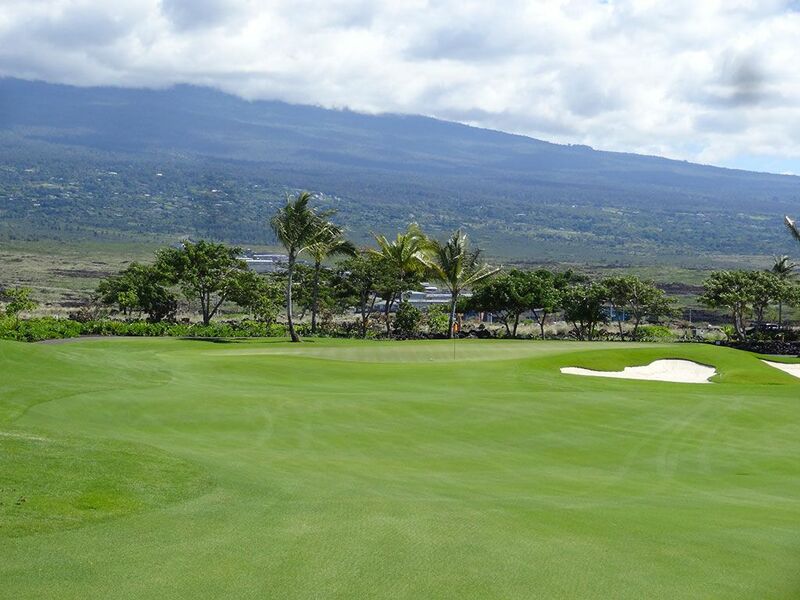 Accolades: Ranked 11th in Hawaii on Golf Course Gurus' Best in State list. 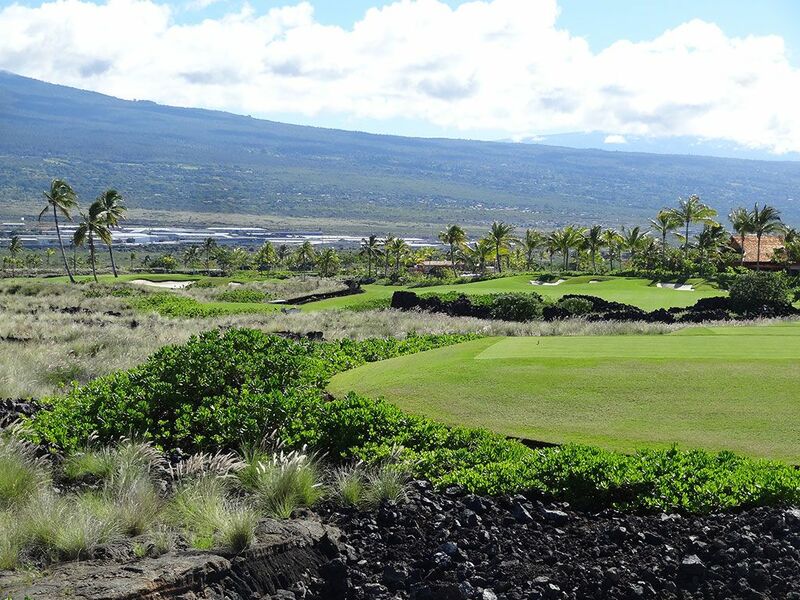 What to Expect: Located on the lava rock covered western coastline of Kona on the Big Island, Kohanaiki enjoys one of the most spectacular settings in the Hawaiian islands. 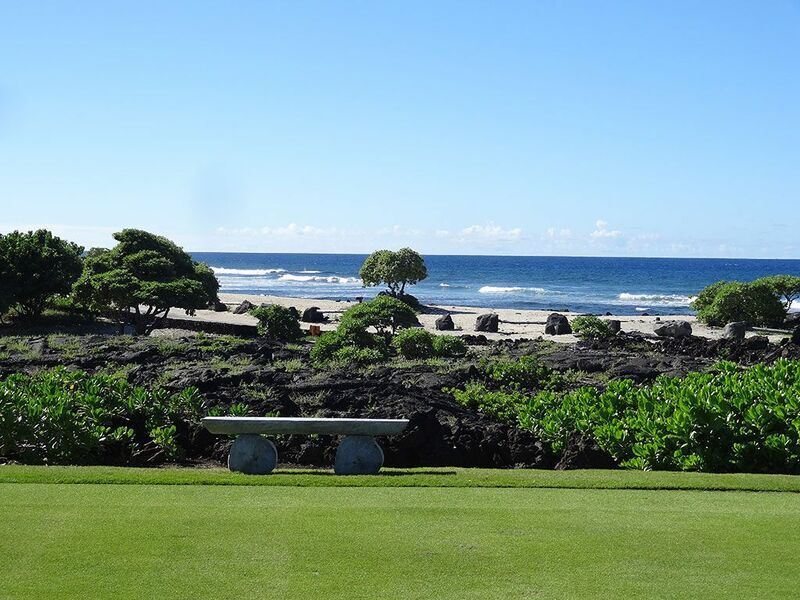 Views of the Pacific Ocean are plentiful throughout the course with the mighty waters providing a stunning backdrop to some of the most memorable holes, including much of the back nine. 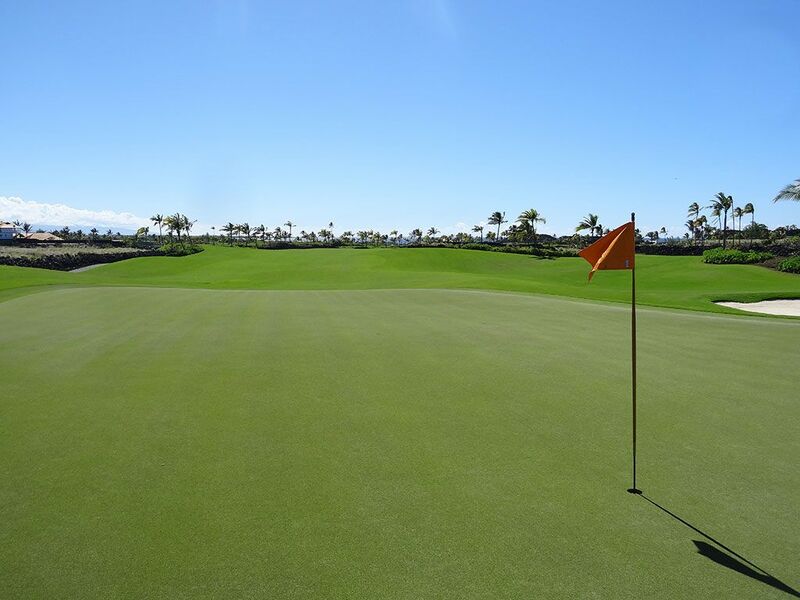 The saltwater tolerant paspalum grass is ideal for the course's proximity to the ocean and is immaculately maintained by the grounds crew. 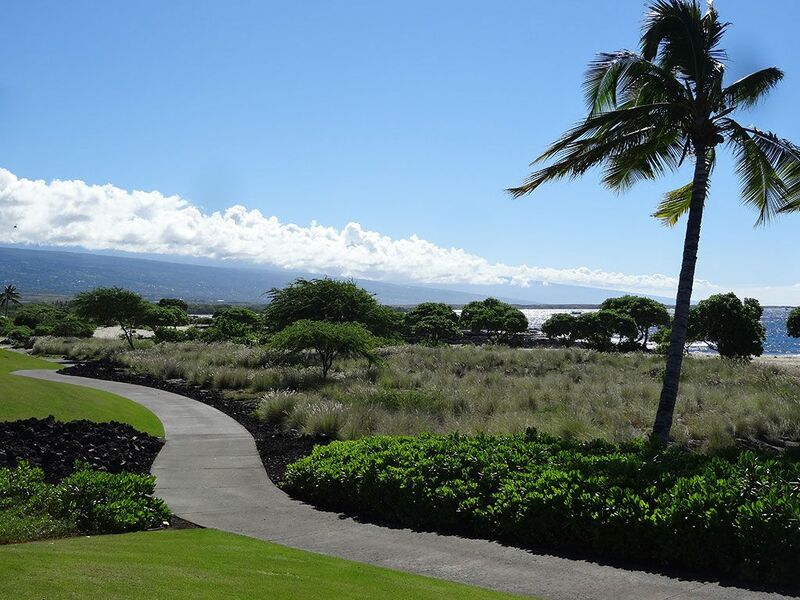 In fact, no herbicides or pesticides are used on the property as Kohanaiki strives to meet the gold standard of the Audubon Society and conform to Hawaii's earth friendly culture. 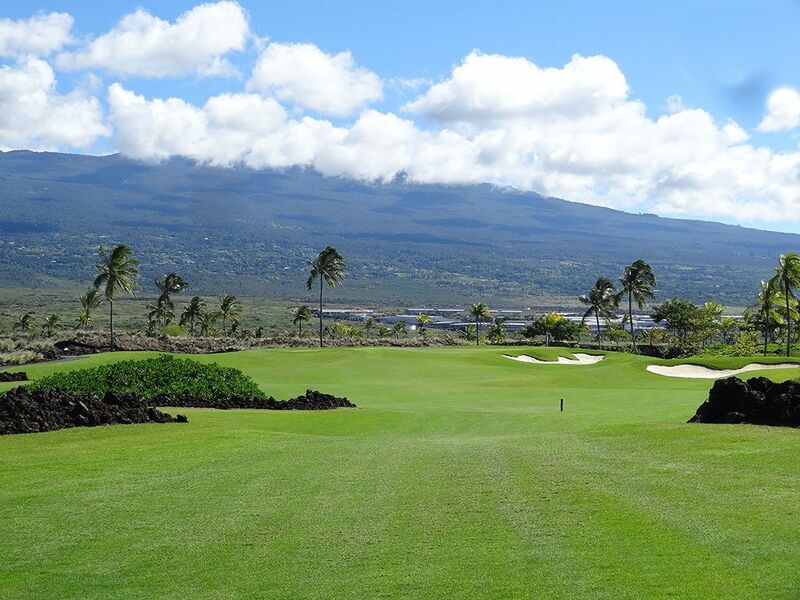 Providing an ideal experience and amenities is clearly a goal at Kohanaiki where three comfort stations throughout the course feature a plethora of snacks including jerky, dried fruits, energy bars, and oodles of candy. My personal favorite feature was the root beer float station while alcohol drinkers may enjoy the pineapple infused vodka. The men's locker room features an indoor shower that opens to an outdoor shower courtyard; a feature that Hawaii pulls off nicely. First class service is found around every corner including the excellent golf staff, valet and driving range service, and is capped off with a cold mint scented towel at the end of round. 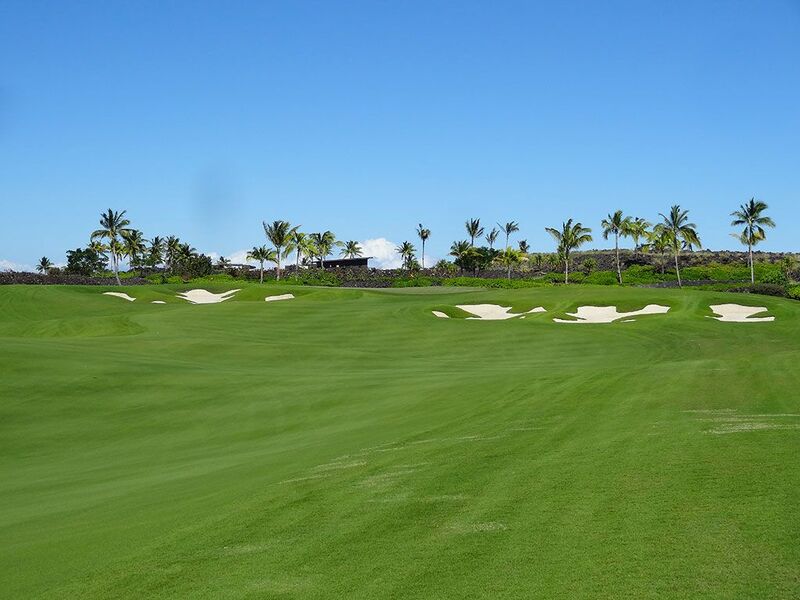 From the course design to the service and facilities, Kohanaiki is elite among Hawaii's offerings and is a can't miss experience. 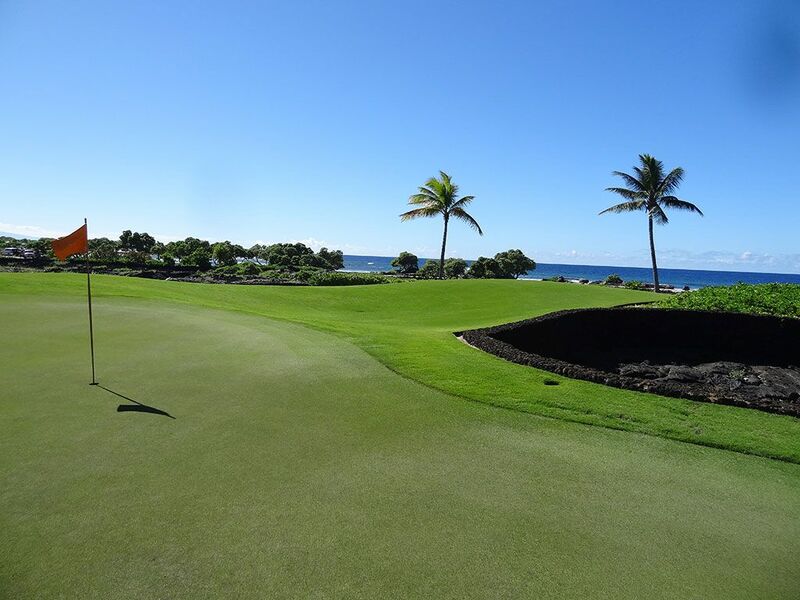 Signature Hole: 12th Hole – 637 Yard Par 5 – One of my favorite things about playing on the Big Island is the stark contrast of colors found on the golf courses. 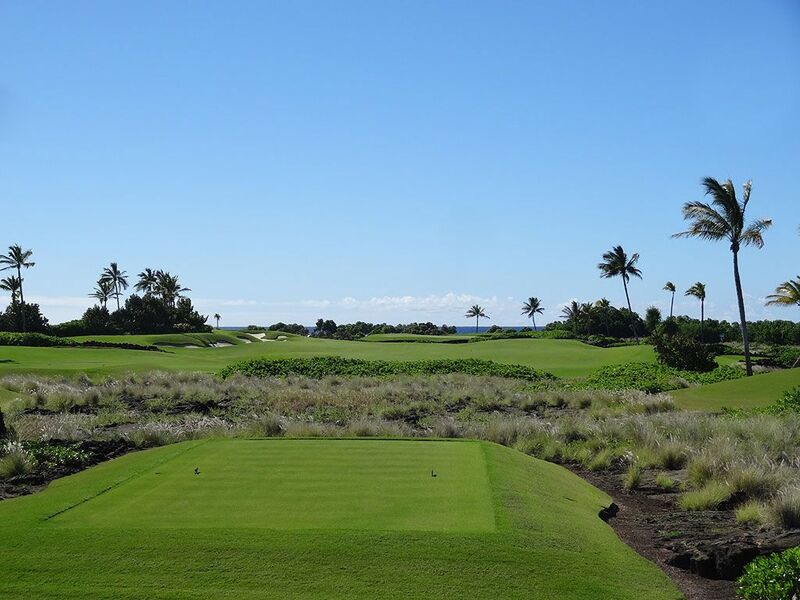 The 12th hole is a perfect example of this as your eyes take in the black lava rock, white sand bunkers, green grass and vegetation, and the alluring deep blue found in the Pacific Ocean. 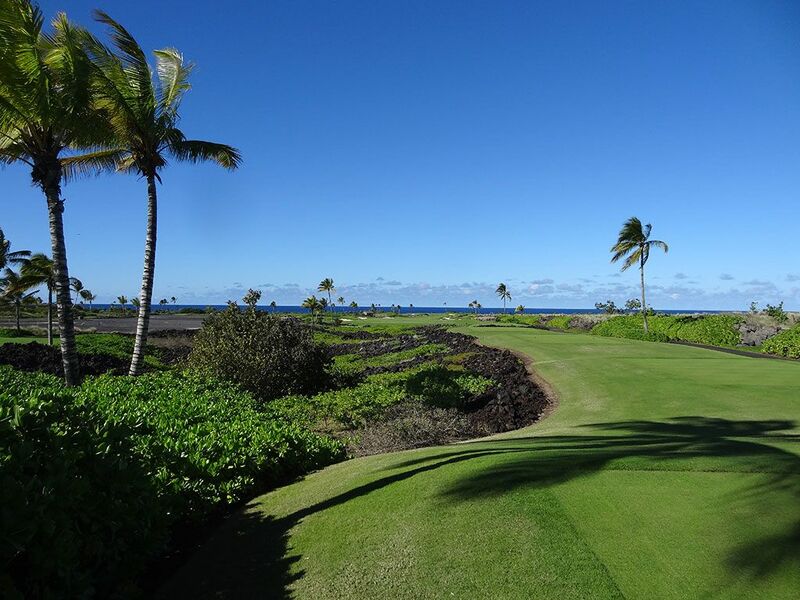 With palm trees spaced out down the sides of the fairway effectively framing the hole, players are given the opportunity to play straight towards the ocean as they take on the longest hole on the property. Reaching the green in two isn't a realistic scenario for most players so positioning yourself well for your third shot is critical; especially since the green is slightly raised and puts a premium on accuracy. 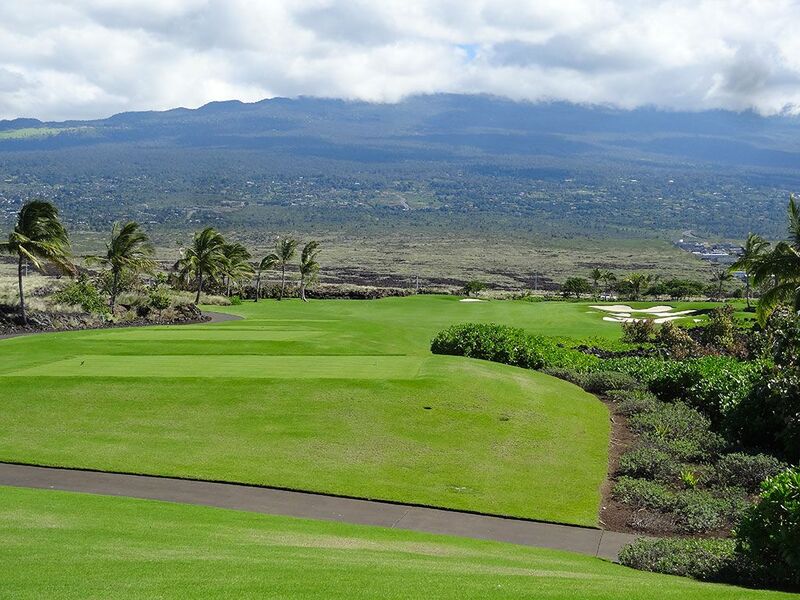 Bottom line, when you golf in Hawaii you expect to get some eye candy and you certainly get it here. 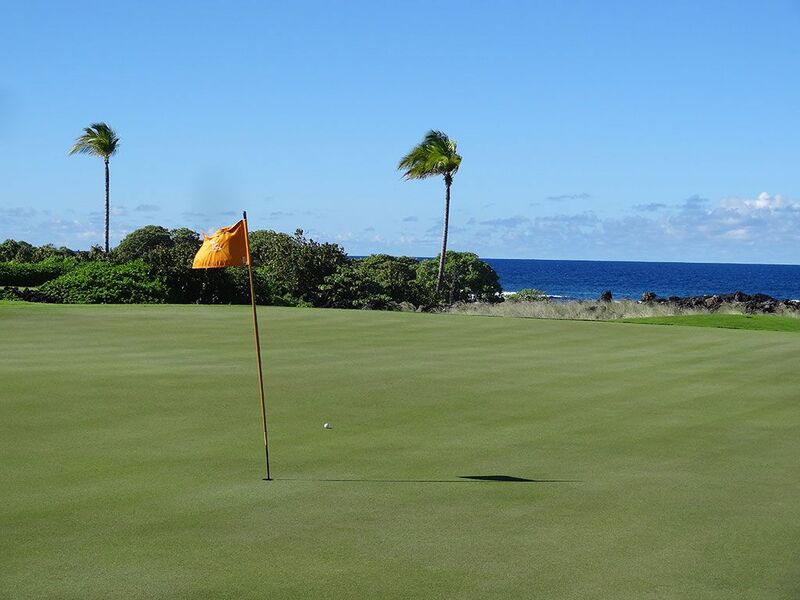 Best Par 3: 13th Hole – 202 Yards – With your back to the ocean, you can often count on a bit of wind to help you reach this par three that tips out just over 200 yards. The right side of the green has a sharp edge while the left side features an inviting opening and should be your target regardless of the pin placement. Bunkering behind the green and another bunker short right of the putting surface are the main concerns to contend with while the towering mountain in the background is an attractive feature. 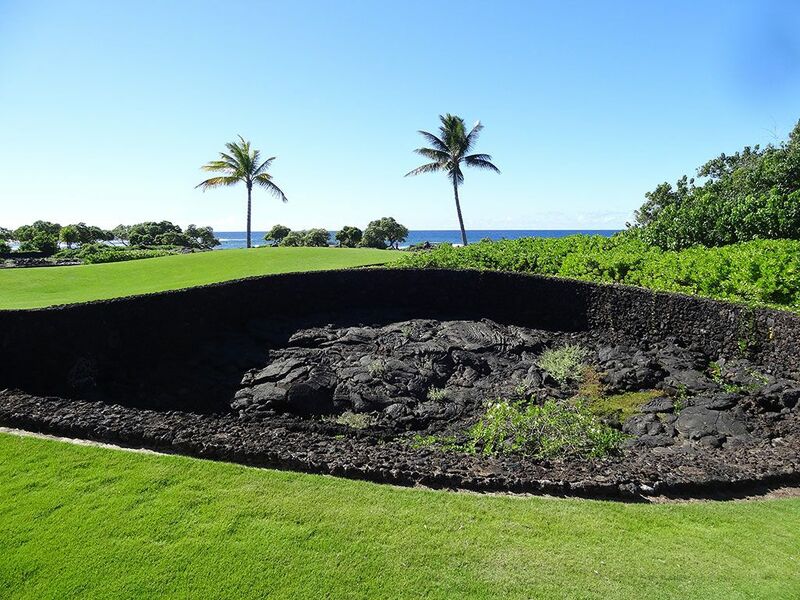 Best Par 4: 14th Hole – 374 Yards – This hole boasts one of the most unique features I have ever found on a course; a lava rock bunker. 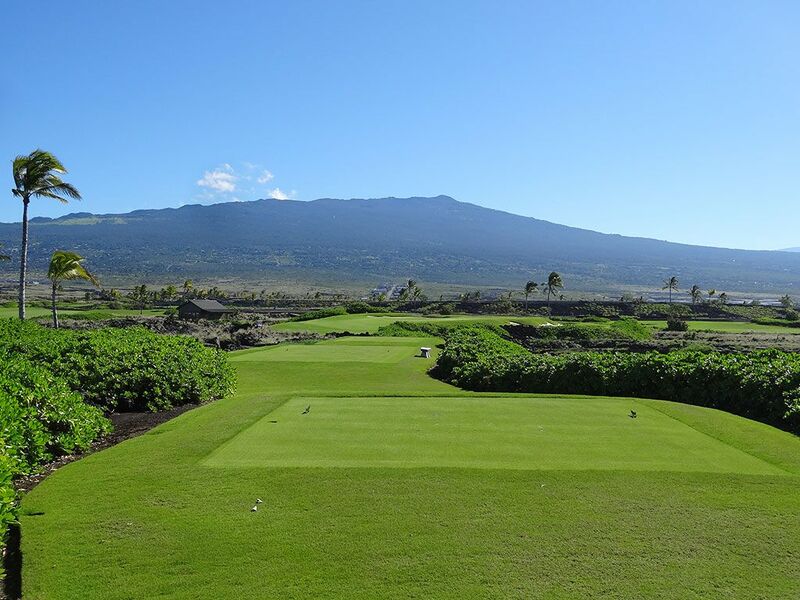 To the right of the green is a large circular shaped bunker that is about three feet deep and is laced with lava rock across every surface. It is wise that this feature wasn't placed on a longer hole which would likely cause it to become a factor more often than it should, but with short clubs likely being used going into this green I like its inclusion in the hole. Best Par 5: 17th Hole – 594 Yards – At nearly 600 yards this lengthy par five doglegs left and and plays through a series of lava rock formations. The raised green is protected by a bunker in the front right but features a large opening in the front to chase approach shots up. A big drive challenging the left side of the hole will significantly shorten the hole but will also bring into play more trouble. Birdie Time: 1st Hole – 516 Yard Par 5 – If you took time to warm up before your round, you should be licking your chops at the opportunity to reach this green in two and walk away with an easy birdie. If you didn't warm up, this is still an easy par to get your round started. The hole plays pretty straight away with a slight left turn at the end. The wide landing area and little trouble in the distance make it a perfect hole to grip it and rip it with your driver in order to set up a great chance of reaching the green in under regulation. Some courses give you an easy warm up hole but not all of them give you a great birdie chance, take advantage of it here. 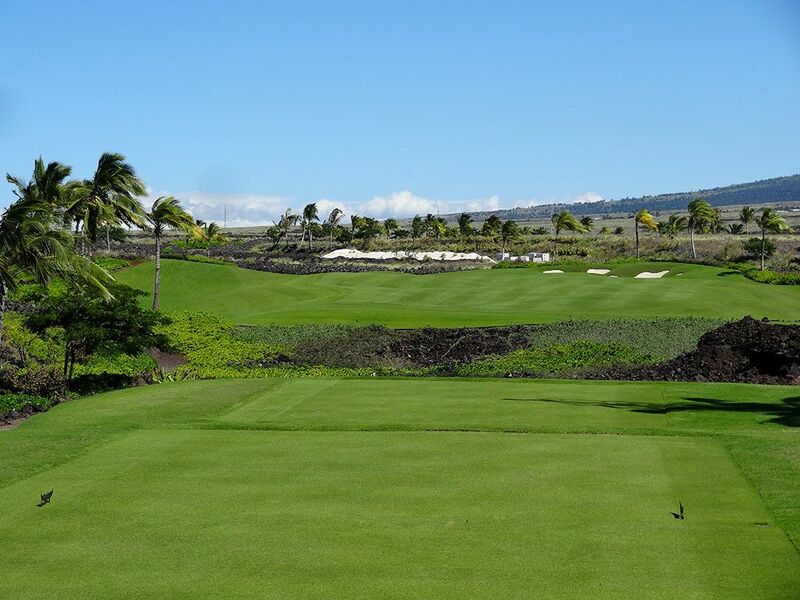 Bogey Beware: 3rd Hole – 481 Yard Par 4 – My house is at nearly 5,000 feet elevation so it is always a bit humbling to play at sea level and see my tee shots not fly as far as I'm used to. 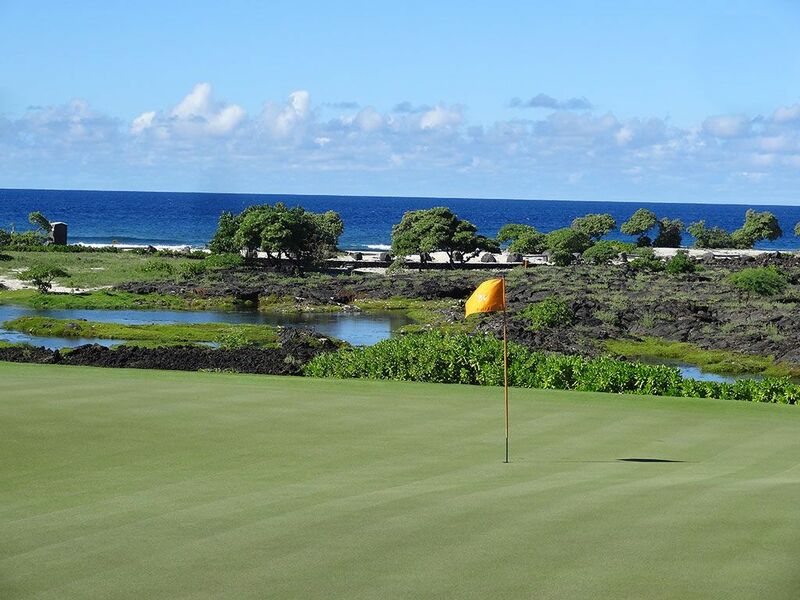 As such, lengthy par fours like the 3rd at Kohanaiki becomes much more difficult to reach in regulation then they do back home. In addition to the length, small tier exists in the front portion of the green and can create a difficult putting situation depending on the pin placement. Stay to the left with your approach to take the sand out of play and to offer the best chipping angle in the event your approach shot misses the putting surface.